ABLE Hakuba GORYU is located at the base of the North Alps and at the entrance to the famous Hakuba village in Nagano Prefecture. With skiing and snowboarding usually available from late November until into the spring, it's a long season! There's a lot of activities to choose from - as well as skiing and snowboarding, there's sledding, popular 'nighta' night-time skiing on the 1500 meter Toomi Gelende, 400 meter mogul course (often home to official mogul events), private pole courses and more. As well as the on-mountain facilities, facilities at base include a variety of restaurants, a nursery room for small children, resting areas and souvenir shops. 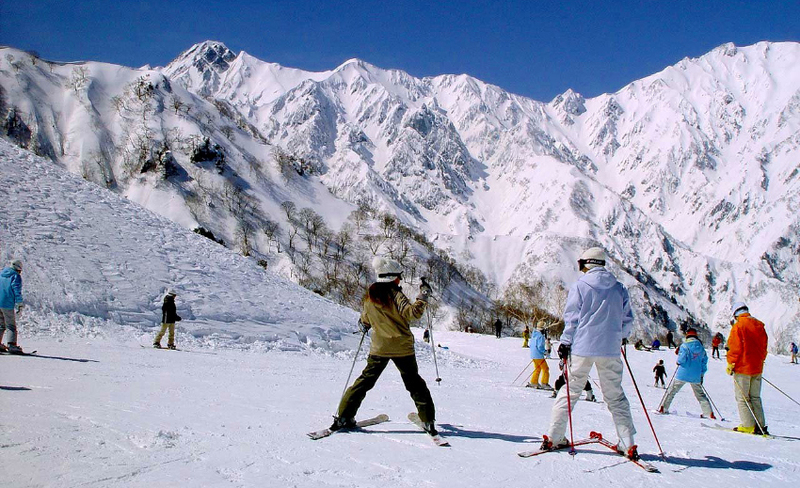 ABLE Hakuba GORYU is connected with the Hakuba 47 Winter Sports Park resort and they share a lift ticket. 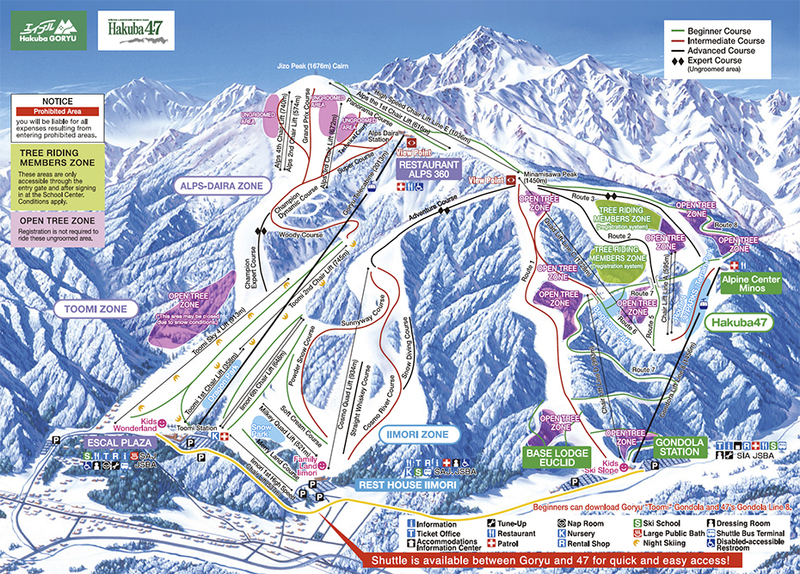 There are two bases at Hakuba Goryu - Base Center Escal Plaza and Base Center Iimori. Lift tickets are valid at both ABLE Hakuba GORYU and the adjoining Hakuba 47 Winter Sports Park resorts. Please note that a 1,000 yen refundable deposit is be required. The 1 day ticket is valid from opening until 5pm. The 2 day ticket is valid on 2 consecutive days. The 3 day ticket can be used on any 3 days in the season. The half-day ticket is valid from opening until 1pm; or from 12pm until 5pm. Night operations on the Toomi area from 6pm until 9:30pm during the main season. Children under elementary school age - free. Season tickets require photograph and are only valid for the holder. There's a variety of places to eat at ABLE Hakuba GORYU including the main base restaurant for 550 people, noodle shop, Subway, yogurt gelato shop, donburi shop, Dragon cafe and the Alps 360 restaurant with fine views on the mountain. ABLE Hakuba GORYU offers some overnight sleeping facilities at the base of the resort. These are available from 11:30pm until 8:00am each day of the main season.